From a formidable player nearly 15 years ago, Reliance Communications (RCom) is a textbook case of how corporations fall with the shift in technologies and competitive landscape. 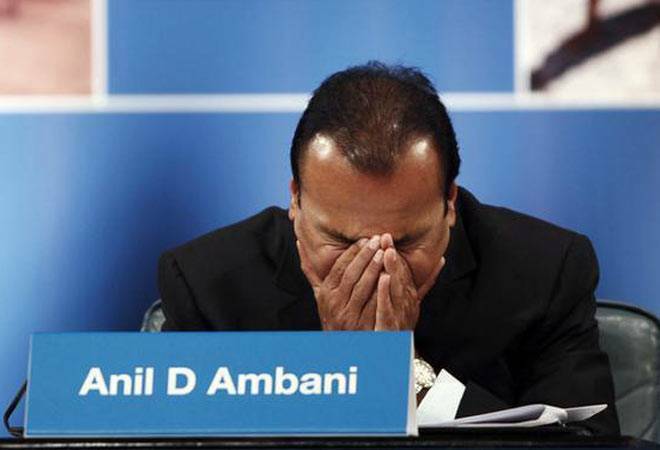 Anil Ambani-controlled RCom has recently informed the stock exchange that it will be filing for the bankruptcy proceedings in the NCLT (National Company Law Tribunal). The decision has come after the telco failed to take necessary approvals from lenders and DoT to conclude its deal with Reliance Jio. "Despite the passage of over 18 months, lenders have received zero proceeds from the proposed asset monetisation plans, and the overall debt resolution process is yet to make any headway. Accordingly, the board decided that the company will seek fast track resolution through NCLT. The board believes this course of action will be in the best interests of all stakeholders, ensuring comprehensive debt resolution in a final, transparent and time-bound manner within the prescribed 270 days," the company statement said. Taking the NCLT approach raises doubts over the telco's ability to conclude the Rs 25,000-crore Jio deal. It has already sold Rs 5,000-crore worth of nodes and fibre assets to Jio. Once the bankruptcy proceedings begin, RCom-Jio deal would most likely be annulled, and the assets would be monetised as per the rules outlined by NCLT. Also read: Anil Ambani's RCom files for bankruptcy in face of indecisive lenders, legal challenges. The past few years have been a period of slow death for RCom. Going to NCLT is a culmination of the events that has been unfolding over the past decade. It has been a topsy-turvy ride ever since the telco started out (as Reliance Infocomm) in 2002. It chose CDMA which was an emerging technology that promised similar output as GSM, a technology which was used by its rival operators such as Airtel and Hutchison Max. But the application of CDMA was restricted to offer 2G and (second-generation) and 3G (third-generation) wireless communications, and it couldn't be used for high-speed 4G (and subsequent 5G) data transmission. So when many of its competitors were investing in GSM technology, RCom kept investing in CDMA, and by the time it has realised that the drawbacks of CDMA, it was too late. At one point, the telco was left with limited resources to make a significant shift towards GSM. Saddled with debt, RCom's migration towards GSM-although started way back in 200-was half-hearted. The lower-than-expected investments in GSM networks in the following years led to RCom losing out to telecom behemoths in a highly competitive telecom market. Since the beginning of this decade, it was clear that RCom is going to find it challenging to break into the big telecom league. The profile of its customers, their average spending, the quality of RCom's network, the piling up of debt, the hyper-competitive market and inability to sell off the non-telecom assets seem to have weighed down heavily on RCom. It's safe to say that RCom particularly had a hard time in the telecom space because unlike other fringe operators, it couldn't even find a peaceful exit.